This was my addiction for the past 2 weeks, I think. My first impression for this Korean drama was not good. I was reading the different forums before and I was not enticed to watch it. Why? I do not find the artists on it cute or pleasing. I thought it was just another girl-pretending-to-be-a-boy story. I have watched Hana Kimi both the Taiwanese and Japanese versions and I kinda like them, very much actually. 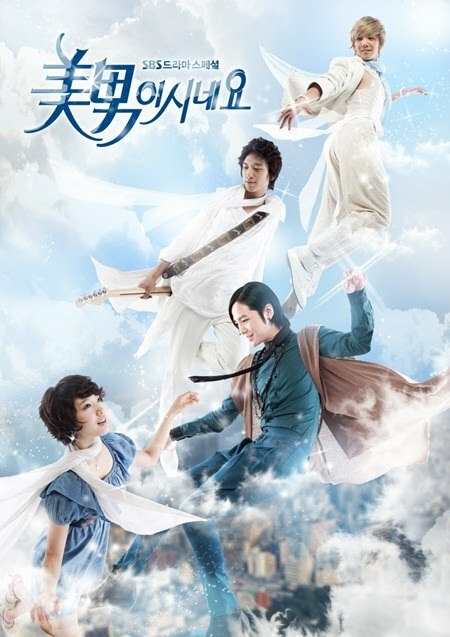 But when I saw the poster and some pictures of the leads for He’s Beautiful/You’re Beautiful, I was like wth! Those eyeliners are not good for the male lead (Taekyung). He looked more of a gay to me than an “emo” type of a guy. However, when I saw some commercials regarding this Kdrama, I noticed that the story was kinda cute. So, I started watching it. Where? Youtube! The owner of this production (SBS) would be mad for people who are uploading this drama because they do not gain from this free uploads. And those companies who bought the broadcasting rights in different countries would be totally mad and might be flagging those accounts (most of them were suspended already, but there are still other sites that has that series 🙂 ). What I wanted to see in the drama is for the twins to be shown together in a scene (camera tricks can do that), but sadly there was none of it. 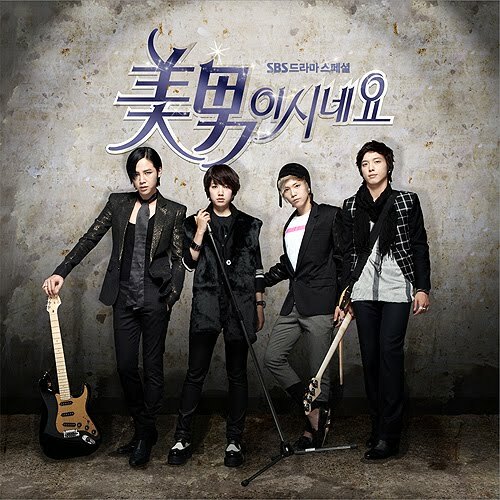 Because of this drama, I became a fan of Jang Geun Suk! I love him now! Their song Still is my video ringtone. For me, he is totally different when he is singing. I wish their AnJell group was a real group. But it is not. 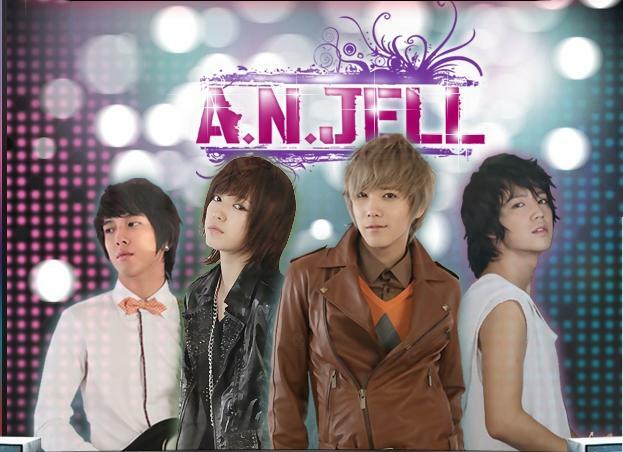 Jeremy (Lee Hong Ki) and Shinwoo (Jung Yong Hwa) have their own bands/group. And Jang Geun Suk (he is more cute and handsome without make up), sukkie my love and Shin Hye are more into acting. If you guys wanna watch a nice Korean drama, this “He’s Beautiful” will pass. You will never waste your time here. Teenagers and not so young love this drama. So for those who haven’t watch this yet, try watching it. It is fun. It is not those Korean drama that someone will die and that one of the lead characters is with illness. So if you want a kinda feel good drama, this is it. This is the drama to watch. AnJell’s will make you happy as they did to me. A church in Gainsville, Florida with a small number of followers is about to burn Qur’an/Koran on September 11. And they will do it during the Eid, after the holy month of Ramadan! So what will they gain for it? Nothing! But just a pain in the arse! I think they wanna just feel the wrath of other Muslims. They are condemning the religion for the September 11 attack, and because of this belief they will burn the Qur’an. And they call the Muslims insane and barbaric? And they are saying they are religious!!! Imagine a religious group promoting hatred against other religion? Could they just not share their not so radical belief to others without doing those kind of acts? I for one didn’t like the September 11 attack of Al-qaeda. You may say, I’m bias for I am a Muslim. I may condemn what these few Americans will do, but I will just let Allah do the punishment against those people who are maligning the religion. If they think they can put down ISLAM by burning the Holy Scripture, then let them do so. It may bother me, but it can’t be the reason that my belief about ISLAM will dwindle because of what these people will do. They are just attracting those die hard mujahideens to pay them a little visit. It will just trigger chaos. ISLAM is the fastest growing religion in the world, I think 1/4 of the people in the world are MUSLIMS. Imagine if those number will unite for a common cause, what will happen to their enemies? Qur’an is not just a book or a paper bound thing. It is the words of Allah. What is written in Qur’an before is the same as what you can see and read now. It was not altered or modified by any unlike other religious books. Let them do the burning if they want to, but it will not change our belief. ISLAM is the way of life —forever. It will stay and grow, for people will know the greatness it brings. Allahu Akbar!